Overcoming adversity comes naturally for one of Atlanta’s freshest new artists. Amelia (Whose government name is Megan Anderson), began her musical journey as many do, in a school production of Alice in Wonderland, but unlike most artists, Amelia faced a peculiar roadblock in her quest for the role of Alice. Her primary rival for the role was, “born” for the part, sharing the titular characters blonde hair and blue eyes, but Amelia, never to be deterred, slayed her audition, secured the role and set a precedent, then and there, to never count her out. Fast forward to the present day, and while she isn’t gunning for a role as Alice anymore, Amelia is aiming for pop stardom with her first single “Never Last,” the first in a line of releases that will culminate in the singer’s debut EP in 2019. Amelia’s resilience produces a tough exterior that allows her to navigate the music industry with focused energy and a brave face, but that doesn’t exclude her from facing occasional self-doubt, just like the rest of us. 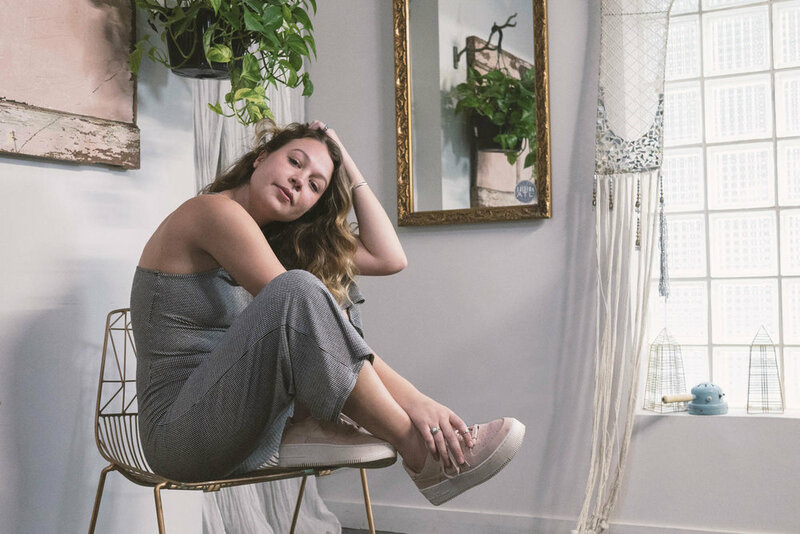 When we talked about two of her upcoming singles, “Anxiety” and “Does it Get Worse?” Amelia relayed the emotional significance of each of the songs. “Anxiety,” she says, “ we [compared] it to the scene in the movie where the shy boy is getting up the courage to talk to the hot girl at the party...that eagerness and anxiety of pushing yourself to do more.” And on “Does it Get Worse?” the young singer/songwriter harps on the titular question in an exasperated attempt to get up from “rock bottom” -- something we can all relate to. In keeping with the theme of anxiety and mental health, Amelia also spoke about the pressure we all face in the modern day to participate in social media and keep up appearances at all times. She explained that her music was meant to alleviate that anxiety, saying she makes, “chill music [to] pull people into a moment...and pull people together,” and when the first notes of her debut single “Never Last” ring out, you can feel all the stress of the day rolling off your back as you sink into your new favorite song. Amelia’s empowering presence is going to make her a force in the music world. From the fierce determination she has shown since she was a child, to her calm, understanding view of anxiety and the pressures of modern life, Amelia has the ability to make you feel simultaneously comfortable and restless. Her chill, stress-reducing tunes and friendly demeanor lull you into a serene state of sudden ecstasy, but the underlying lyrics and messages will motivate you to get up, get out and better the world around you. Amelia has an intoxicating sound and a personality to match it, but what’s most impressive is her perseverance and passion for music. Be glad you’ve got the chance to see her now, because the next time you get the opportunity, she may be playing at State Farm Arena with Daniel Caesar and Maggie Rogers. Listen to the full interview with Amelia above or on Bullet Music’s YouTube or SoundCloud.